When ships sail out to sea, they often face harsh winds and choppy waters. If these vessels contain cargo that's not properly secured, violent winds and waves can cause loads to shift, injuring maritime workers. Falling cargo. Any cargo capable of falling from a great height poses a serious danger to workers if it isn’t properly secured. Lack of maintenance. Cargo ships often transport food products, chemicals, and raw materials that lead to structural issues. If the ship isn’t cleaned properly, residue left behind by cargo can corrode crucial equipment such as bilge systems and plumbing. Cargo shift. Cargo shift typically occurs on vessels transporting cargo that normally settles during transit, such as food products and raw construction materials. As this cargo settles, it can shift with the movement of the vessel, creating a hazard for workers near the cargo. Turbulent waters. When the seas turn rough, any vessel in navigation can become unstable, causing cargo to injure workers when it shifts or falls. 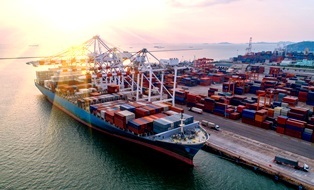 If you’ve been injured in a maritime cargo handling accident, you deserve compensation for your medical bills, lost income, and pain and suffering. You need an experienced workplace injury attorney to help you with such a detailed case. To learn more, contact the law offices of Steve M. Lee, P.C., by using the form on this page.